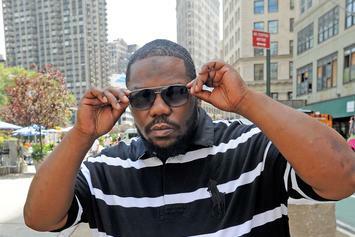 Beanie Sigel suffered a gunshot wound in an altercation that went down in Pleasantville, New Jersey this morning. 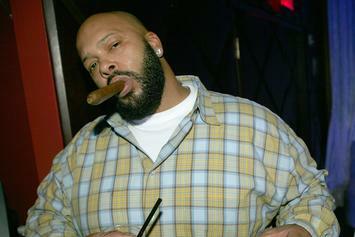 Suge Knight and Katt Williams have been arrested on robbery charges that stem from an incident with a female photographer. 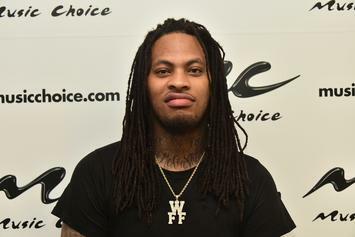 Waka Flocka Flame was arrested this morning for trying to bring a loaded handgun through airport security in Atlanta. 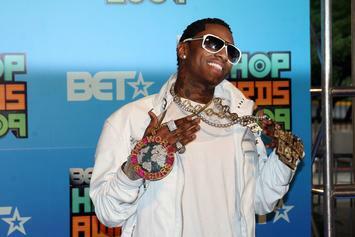 Soulja Boy's finally been charged with the crimes he was arrested for in January, namely posession of both a loaded firearm and marijuana. 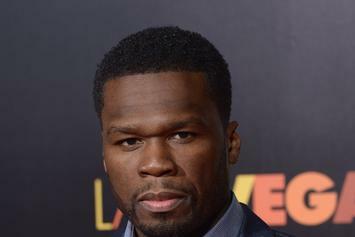 Tank was arrested during a traffic stop for failing to obey a police officer's orders. 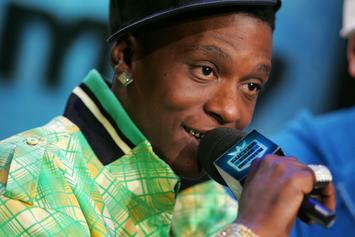 Lil Boosie tackles serious subjects in a new interview. 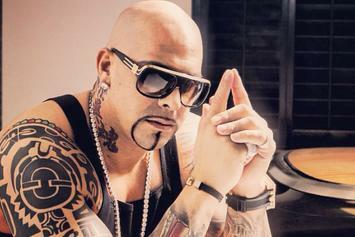 Rapper, producer and "Love And Hip Hop Hollywood" star Mally Mall's house in Las Vegas is being raided by the FBI. 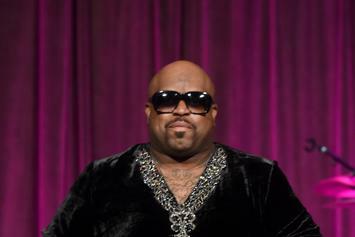 Cee-Lo Green's two-year-old ecstasy case finally gets resolved, with the singer pleading no contest and being slapped with three years probation. 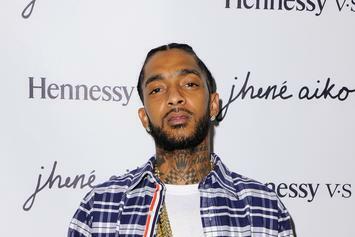 Nipsey Hussle Arrested For "Obstructing A Peace Officer"
Last night, Nipsey Hussle was arrested at Slauson Avenue Clothing in L.A. for "obstructing a peace officer" while he was trying to arrest another man for a probation violation. 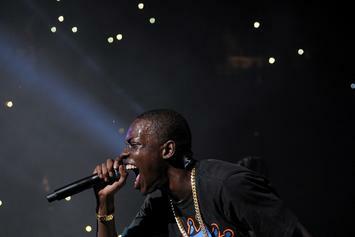 Back In June, Brooklyn MC Bobby Shmurda was arrested for gun possession, but we're only hearing about it now. 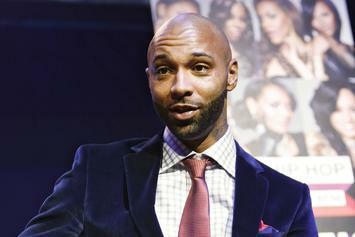 After being deemed a "wanted man" by the NYPD on Twitter last weekend, Joe Budden turned himself in this morning. 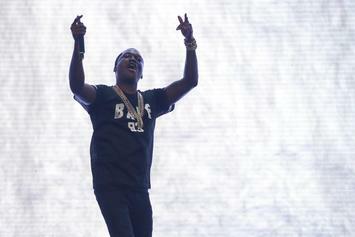 Meek Mill's BET Awards pre-party was interrupted by a fight that left a man stabbed. 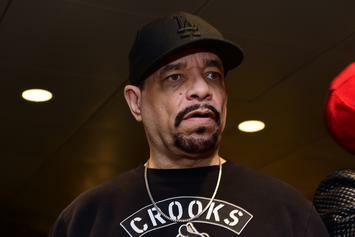 Elyjah Marrow, the grandson of Ice T, was charged with involuntary manslaughter after his handgun fired off and killed his roommate. 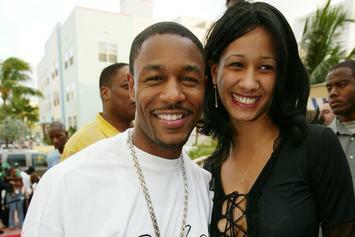 Slowbucks holds press conference at the Bostany Law Firm to discuss the now-infamous chain-snatching incident. 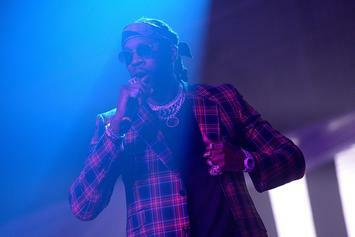 2 Chainz was charged with felony drug possession after being arrested at L.A.X. ten months ago. 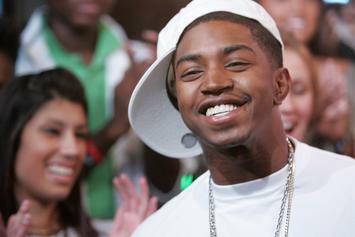 Gunfire exchanged outside of a Lil Scrappy show Friday night has left one dead, one injured.